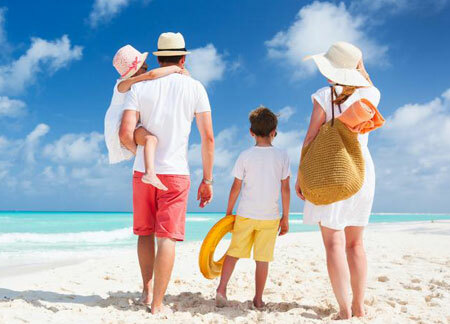 Family Tours in Odisha is the perfect way to makes your family happy and excited, the exotic tourist destinations such as heavenly temples, beautiful sea beaches, stunning waterfalls, arrogant wildlife, fast forest, distant tribal communities and many more other things makes this is an awesome tourist destination that provides entertainment for all aged people of a family. For kids here Zoos are present for old people here temples and heritage sites are present, for adults here beaches, forest and waterfall etc adventurous destinations are present those boost tour experience in Odisha. So tourist loves to book Family Tours Packages in Odisha and enjoy the charm of real Odisha with their family. Arrival at Bhubaneswar Airport / Railway station, pick-up, proceed to Puri, check-in hotel, relax and overnight at Puri. Take your breakfast, visit world famous Jagannath Temple by our Temple priest latter visit SakhiGopal Temple (Temple of Radhakrishna), Raghurajpur (Famous craft village & Pattachitra work), back to Puri and visit Loknath Temple (Lord Shiva), evening enjoy at golden sea beach and beach market, overnight at Puri hotel. Take your breakfast, proceed to Satapada (Chilika Lake – The Largest Salt Water lake of Asia, It spreads over 1100 Square K.M) enjoy the boat Cruise at Chilika lake & see “Irrawaddy Dolphins” and “Sea Mouth” (Famous island inside Chilika Lake). Then back to Puri, visit Gundicha Temple and free time shopping at a Local market, overnight @ Puri hotel. Take your breakfast, check-out from hotel and proceed to Konark, Enroute visit Ramachandi Temple, Chandrabhaga Beach then visit Konark (The Sun Temple and world heritage site and also known as the black pagoda) then check-in hotel at Konark, evening time enjoy “SUNSET” at Chandrabhaga beach. Overnight at Konark hotel. Early morning enjoy “SUNRISE” at Chandrabhaga beach from resort and after breakfast check-out from hotel, proceed to Bhubaneswar (Capital city of Odisha) on the way visit Pipili (Famous for Appliqué work and also known as the handicraft village), Dhauli peace pagoda (The Buddhist monument & famous for historic Kalinga war), Lingaraj Temple, Rajarani Temple, Mukteswar Temple, Ekamra Haat (The Handicraft Market) on arrival check-in hotel at Bhubaneswar and overnight @ Bhubaneswar hotel. Take your breakfast; visit Nandankanan (Zoological Park & Wildlife Sanctuary), Khandagiri & Udayagiri (The famous rock-cut caves Hatigumpha and wonderful sculptures in Ranigumpha built by Mahameghavahana Aira Kharavela), Tribal Museum, Cactus Garden, State Museum & Local market. Overnight at Bhubaneswar hotel. Take your breakfast, proceed to Cuttack, and visit Netaji Birth Place & Museum, Cuttack Chandi Temple, Deer Park, Odisha High Court, Barabati Stadium, Maritime Museum, back to Bhubaneswar. Overnight at Bhubaneswar hotel. Take your breakfast, relax, check-out from hotel and transfer to Bhubaneswar Railway station / Airport for your onward journey with sweet memories of Jagannath Dham (Odisha).